Many dog breeds need physical activity to thrive. It doesn’t matter if they are puppies or adults. They will get bored if they are left to their own devices and more often than not, the results of this aren’t pretty. Putting aside time for physical activity with your dogs, especially if they are younger, can help keep them fit and out of bad situations. 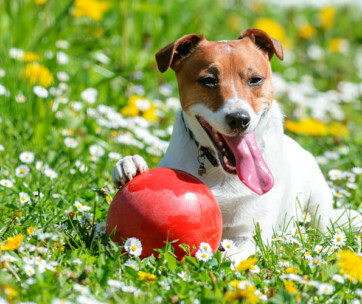 This list features ten of the easiest and most fun games you could play with your dog. One of the easiest ways to exercise your dog is to use what is known as a flirt pole. Also known as a flirt stick, this toy is called as such because the dog’s owner or trainer will use it to dangle a lure in front of the dog as if to “flirt” with it. All you need to do is move the lure in such a way that your puppy can’t easily catch it. Some owners even attach the flirt pole to the dog’s body so its lure is perpetually positioned in their dog’s face. Flirt poles are very popular with both puppies and older dogs. It is perfect for high-energy breeds that love to lead an active lifestyle. It tires the dog out, while the person playing with the dog doesn’t have to exert much physical effort at all. You may swing the lure in circles or drag it across the ground to make it appear that the lure is running away. You may also make snappy and jerky movements that will help keep the lure out of your pet’s reach. This dog toy is also perfect for dog owners who are on a tight budget, as it is quite easy to build one yourself. All you need is a long, sturdy stick – it could be from wood or plastic like PVC – as well as a length of rope and something to use as a lure. The lure can be a chew toy, a rag, or any item that your dog has shown interest in. It is important that the dog can eventually catch the lure, as not doing so may leave them distraught. Let them play with the lure for a couple of minutes before beginning another round of this game. Another popular game for dog lovers to play is Frisbee. Some breeds are just a natural at this game. You may see them jumping high in the air or running fast to chase after one of their favorite toys. It may look like fun and games to the casual observer, but there are many who consider it a sport. In fact, a lot of dog shows even have Frisbee competitions, which judge the competing dogs based on their athleticism as well as the distance that they can cover when making a catch. Depending on what type of dog you have, you may have to spend quite a bit of time teaching your dog how to make the perfect catch. However, it will all be worth in the end. Your puppy may appear clumsy at first during the first few attempts, but gradually they will learn how to catch Frisbees thrown higher up in the air and over longer distances. They may even learn how to make the picture-perfect catch with enough practice. Start with a soft Frisbee first, as your dog might get hurt if they get hit with a traditional one. Begin by throwing the toy near them and reward them with kind words, and maybe even treats, when they bring it back to you. For some dogs, you may even have to start by rolling it on the ground towards them. However, once your dog starts to get the objective of the game, you can begin to throw the disc higher and farther away. Aside from having your dog chase a stick or a Frisbee, you could also teach it to chase bubbles. If your dog is young and does not yet know how to chase bubbles, you can start by blowing a small amount and telling your dog to chase after them in an exciting and encouraging tone. You could even show your dog how to play this game by popping a couple of bubbles yourself before they get to the floor or before they pop on their own. Try your best to get a hold of bubble solutions specifically marketed for dogs for this game. If you can’t find any then non-toxic bubbles are a suitable alternative. They are usually marketed as the “for kids” variety. Just be careful not to let your dog swallow too much of the latter, as this could cause stomach issues for them. You should also wipe off your dog afterwards to remove any excess solution on the hair, skin, or eyes. 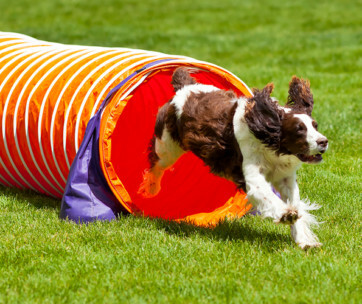 If you have the space and the resources for it, you may also want to try setting up an obstacle course for your dog. This game is also known as an “agility course” in the dog world. Many dog owners have found that having their dog run through a DIY obstacle course in the living room or in the backyard tires them out more than a long walk. This is also a great way to get a puppy’s brain working, as it makes them think of what they should do next so they could clear the course their owner has set up for them. Building an agility course is also one of the easiest ways to teach your dog some cool, new tricks. They could be taught how to weave through poles or jump over barriers. Some dogs could even be taught to pass through tunnels, balance on teeter boards, and stop in just the right spot on pause tables. If your pet gets good enough at doing these courses, you could even sign them up for dog shows that feature this sort of event. Much like the other toys and games on this list, there is a do-it-yourself alternative for agility courses. Of course, you could go to the pet shop and splash some cash on the parts of the course. However, if you are looking for a cheaper alternative, you could stick ski poles or PVC pipe on the ground to recreate weave poles. Aside from this, you could stack boxes on top of each other for jumping obstacles or you could put a long piece of wood on some PVC pipe to make a teeter board. By saving money on this, you can buy your dog some treats or other toys. If your dog loves to gnaw on different objects, then maybe you should look in into getting them a KONG dog toy. These toys are nearly indestructible and are made in a wide variety for different age groups. Softer KONGs are made for the use of puppies and light chewers, while their tougher “classic” and “extreme” editions are made for adult dogs that have a powerful bite. They are also available in extra small (XS) all the way up to extra extra large (XXL) to accommodate dog breeds of all shapes and sizes. The KONG is hollow in the middle so you can fill it with things like dog treats or puppy food. 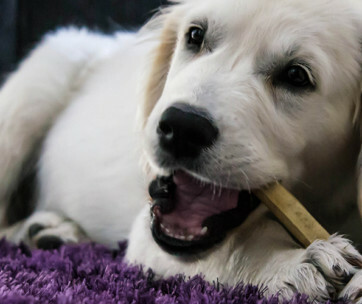 Along with being a favorite among dogs that love to chew, it also stimulates dogs’ mental ability since they have to figure out how to get what’s inside. It is important to fill these toys with things that your dog likes because getting them gives them a feeling of accomplishment. If they get their treats, it will also make them want to play with the toy again. This dog toy can also be used to play fetch. It is safer to use and more durable than sticks or tennis balls. The KONG also helps clean a dog’s teeth and soothes their gums while they chew. Despite this dog toy having no DIY alternative, it is among the cheapest toys you can get on this list. It is also available in most pet stores. There is no reason why you shouldn’t at the very least try this toy out. Number six on the list of the easiest and most fun games you can play with your dog is a digging box. A lot of dog breeds are hunters or herders that have a natural tendency to dig. If this is the case with your dog, then take advantage of their innate abilities with this dog toy. If you have some handiwork experience, then this one is quite easy to set up. All you need to build your dog’s very own digging box is some wood and sand, which are both easily available from hardware and construction stores. Building your dog its very own digging box spares your backyard or garden from having unsightly holes dug into them. Just make sure that if there are stray cats around your area to put a cover on the digging box, unless you want all your hard work to end up as a giant litter box. If one of your dogs is not a digger at heart, there is no need to worry. They can be taught to love the activity by burying their favorite things – items like chew toys and balls – under the sand. Doing this will require the dogs to dig for their favorite items, so they can play with them again. Over time, they will learn to enjoy digging. When this happens, you can kick your feet up and relax with a cool drink while your dog tires itself out by digging to its heart’s content. One of the simpler games on this list, tug of war is also one of the most enjoyable. It’s quite simple also, as you only need a strong rope with a lead attached to it in order to play. Tug of war is fun for both the pet and their owner. It also gives them the chance to bond over highly engaging physical activity. Some dog owners have also found that a game of tug of war is the perfect way to teach dogs, especially the younger ones, some good manners. If you decide to play tug of war with your pooch, then you should follow one simple rule – the game stops when the dog’s mouth comes into contact with his or her owner’s hand. Immediately stopping once it has reached this point keeps it fun and safe for all involved. If this happens enough times, then your dog itself may catch on that the game stops when their teeth touches their owner or their trainer’s skin. Unfortunately, there are some people who are not big fans of this game. However, they are in the minority and have already been proven wrong. It is not true that playing tug of war teaches dogs how to be aggressive or how to act domineering towards other dogs. In reality, all that letting your dog win teaches is that you are fun to be around and play with. It also makes the game a lot more fun on your pet’s side of things. If your dog loves to swim, then it is a good idea to play water-based games with them. You could also modify their favorite games so that you could play them together in the pool or in the beach. If you do plan on bringing your dog into the water, you should always bring a floatation device just in case. You should also check if the toys you plan to bring float in water. For instance, check if their favorite chew toy floats in the sink or in the tub first. Your puppy may get sad or distraught if they see their favorite toys float to the bottom of deep water. Water games are perfect for the summer time when the temperature may make your pet feel tired or sluggish. If there are no nearby pools or beaches, a kiddie pool will do just fine to let your dog cool off. Some dogs also enjoy the cooling spray of a garden hose. You should always remember that no matter how your dog comes into contact with water, you should always give them a bath afterwards. Don’t forget to use a high-quality puppy shampoo when doing so. This will keep your dog’s hair and skin in the best condition. While your shampoo could leave your hair looking the best it’s ever been, it doesn’t mean that you can use it on your dog and expect the same results. A good shampoo for dogs leaves their skin in good condition and helps get rid of fleas and ticks. Your dog’s shampoo should also neutralize foul odors and leave its coat with a shine. The right type of puppy shampoo could also help remove tangles from their hair. You should also remember to look at the ingredient list when buying shampoo for your dog. If possible, it is best to go with the one with all-natural ingredients. Number nine on this list is hide and seek. This game teaches younger dogs how to come to people whenever their name is called. Begin by having someone keep your puppy company while you pick a hiding spot. Once you’re hidden, call out their name and wait patiently for them to find you. You could also hide their favorite toys around the house for added variety to the game. You can have someone guide the dog for the first few tries if they are having trouble finding you. Sooner or later, they will grow more independent and become better at playing this game. Like in most of the other games mentioned on this list, it is important that your puppy wins to get a sense of accomplishment. You can also reward your pet with dog treats once they successfully locate you. Last, but certainly not the least, is one of the first games you can teach your puppy to play with you. It is known by a lot of names, but its objective stays relatively the same. 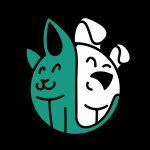 The goal of this game is for your pet to come to you when their name is called out. Training your puppy to come to you when you call their name is also a great way to teach social skills to newer dogs. You can teach this by having the friends and family the dog should know sit on the floor. Each person then takes turns calling the puppy’s name. When the puppy comes to them, it gets rewarded with dog treats or toys. It could even be rewarded with pats or ear scratches if those are the things it enjoys. Getting a new puppy will always be an enjoyable experience for any animal lover. If you get a breed that is active and has lots of energy, then it would be a good to have a list of easy to play games that can help keep your dog busy. Hopefully, this list has given you some good ideas of how and what to teach them.